CBC/Radio Canada has 23 new RSS feeds. New header graphic, mountains in British Columbia. I just gave $100 to Downhill Battle to send indie CDs to radio stations. These are wonderful idealistic young people doing great work for a good cause. They deserve our support. On September 5 I wrote: "Sadly, I seem to be running out of continent, again." Well, there's a way to fix that bug -- turn around and go back! Which is what I will start doing tomorrow or Monday morning, depending on how I feel. My cold is fading, praise Murphy, the antibiotics really worked. Dave Jacobs is recovering in SF, so I want to go visit him. We're having a weeklong business planning meeting in Miami on January 3. All this leads to the inevitable conclusion, it's time to hit the road! Yehi. I'm glad to do it. I love the feeling of the road opening up in front of me. My only regret is that I can't drive all the way around the world. Having hit the west coast in September, in December I'm bouncing off, going south, then east, to adventures unknown. Where will I land this time? Well I'd guess New York City, but I'm not totally sure. I want to spend Christmas in Sedona, Arizona. Maybe that's as far as I'm really planning? 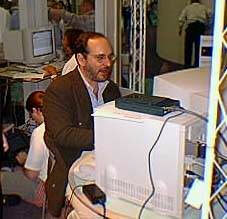 Ole Eichhorn snapped this picture of me blogging in Apple's InternetWorld booth in Los Angeles in 1997. BBC Radio gives podcasting a try, with great success. Speaking of great successes, we're working on rolling up all the great Adam Curry sites into one easy to edit, easy to access weblog. We're most of the way there. People seem to be pretty happy with the performance (that was the idea). Next thing to work on is the design. Mary H is on a roll, she now says the word Beta when applied to software is so overused and inconsistently used as to be useless. "Blaming users for misunderstanding the definition of beta seems unrealistic," she says. Mary Hodder on user-developer relations. Wired News is hiring an editor-in-chief. Jay Rosen on the blogging of Greensboro, NC. Here's a little vignette, a cautionary tale, how even the most cautious of Frontier programmers can get caught in a web of entangled names and end up with breakage. 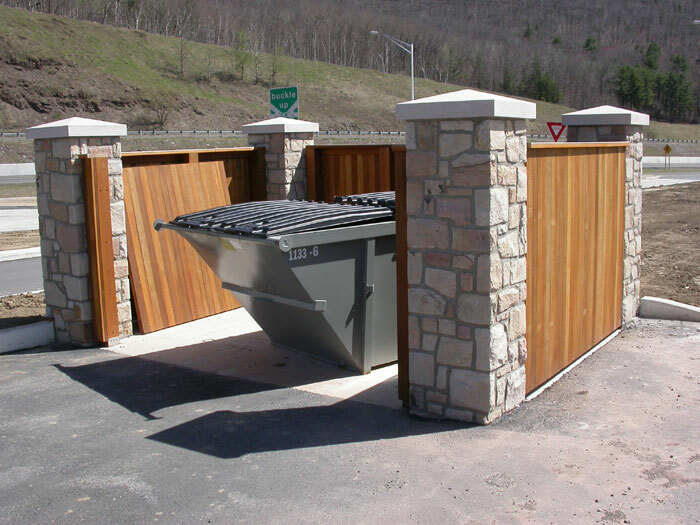 On this day in 2001, a great pic of a dumpster. You can be sure it will show up on Scripting News again. Dumpsters are cool. 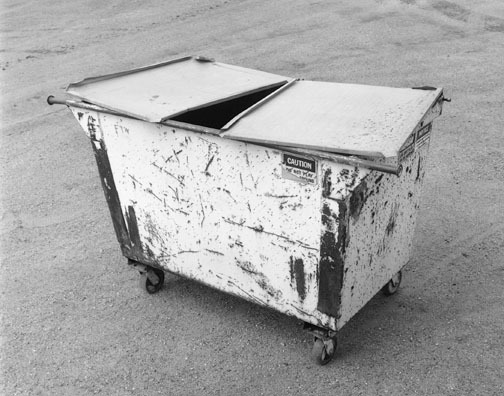 Tim Langeman sends a picture of a pristine clean-as-a-whistle dumpster. It's also cool, in a pristine sort of way. Last update: Saturday, December 18, 2004 at 4:17 PM Eastern.